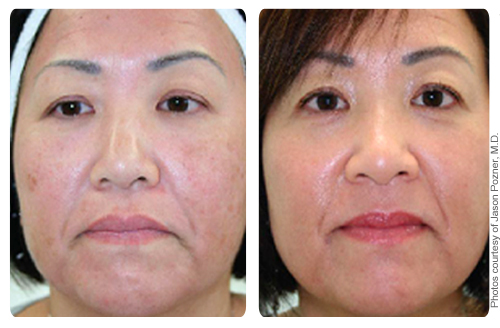 Restore your skin with BBL photo rejuvenation. Using the theory of selective photothermolysis, benign pigmented lesions can be treated with the appropriate BBL filter and settings that will cause selective absorption of light in melanin. The absorption converts light into heat energy, which raises the temperature of the pigmented lesion. This heat is used to destroy the parts of the cells in which the melanin is stored, resulting in slow elimination of the pigmented lesion by the macrophages of the immune system. 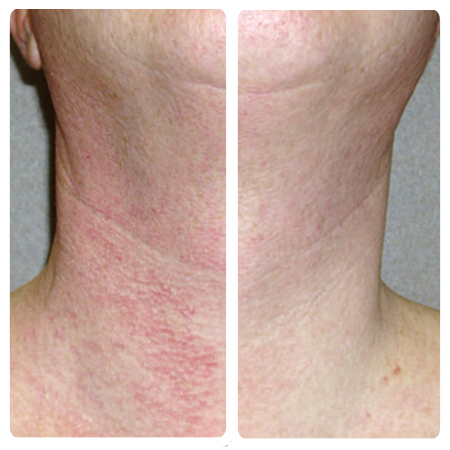 Treatments are performed 3 - 4 weeks apart. 3 - 5 treatments may be required. 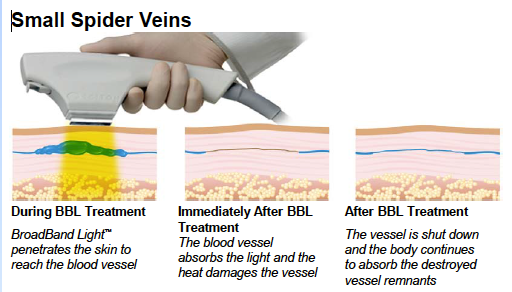 Using the theory of selective photothermolysis, benign vascular lesions can be treated with the appropriate BBL filter and settings that will cause selective absorption of light in the blood that is flowing through the targeted vessel. The absorption converts light into heat energy, which raises the temperature of the blood. Heat is conducted to the lining of the vessel wall leading to its injury. This results in slow elimination of the vascular lesion by the macrophages of the immune system. Treatments are performed 2 - 4 weeks apart. 5 - 7 treatments may be required. Any area of your body can be treated. The most common areas are those most exposed to the damaging effects of sunlight. The most popular treatments are on the face, neck, back of the hands, arms, chest and shoulders. Your eyes will be protected with safety shields or glasses. Usually, there is no need for a topical anesthetic. You may briefly feel a warm or quick snapping sensation as the light is absorbed by the targeted areas. Your procedure may take a few minutes to an hour depending on the size of the area to be treated and the type of procedure performed. You may experience some redness that should resolve within a few hours. You will see a darkening of the treated pigmentation followed by fading and flaking off at a later stage (usually 7-10 days). This can be easily covered with makeup the next day. Your treated skin will feel smoother and sunspots or uneven pigmentation will fade. Your clinician will provide you with complete information about the post treatment care. For a safe and effective treatment it is important to follow your clinician’s treatment plan. You may also be recommended some skin care products and given instructions on how to use them. ​You will be given a complete list of pre- and post-treatment instructions at your free initial consultation at our clinic.